BIG NEWS!! CHANGES TO ‘BE OUR GUEST’ FOR LUNCH!!! You may recall reading my recent post concerning the distribution of time return reservations (similar to the old paper Fastpass system) at Princess Fairytale Hall for guests wanting to meet Anna and Elsa. Walt Disney World so brilliantly brought this method back to help guests avoid the long standby lines for those unable to obtain a FastPass+ reservation. Cast Members in the Magic Kingdom are now handing out these timed return reservations to guests at Be Our Guest (also known as BOG) for lunch. The tickets state a specific time for the guests to return to the restaurant to enjoy lunch without having to stand in line and wait. The bad news, yes unfortunately there is always bad news, once all of the tickets have been distributed, a sign is posted saying there will be no more guests admitted without a FastPass+ reservation. You cannot make Advanced Dining Reservations (also known as ADRs) 180 days in advance because the lunch experience is considered Quick-Service Dining. However, Be Our Guest is in the TESTING PHASE for becoming a FastPass+ selection. In the future, should it pass the testing phase, you should probably use one of your FastPass+ allotments to secure a reservation at Be Our Guest for lunch if you absolutely want to guarantee your spot. 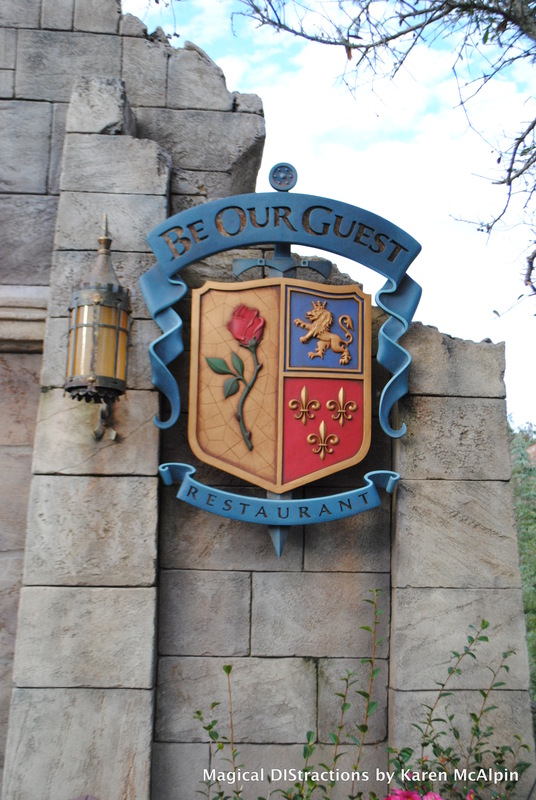 Be Our Guest puts their “Service to the Test” for Lunch! Could Be Our Guest Be Making Changes to the Guest List? Follow up NEWS!!! Confirmation: The Be Our Guest Invitation List Grows!! Reservations Floating Up Stream for Skipper Canteen! It’s a Meal Fit for a…Mom! Be Our Guest Breakfast Reservation Test Extended Into the Summer!